UPS tested home delivery by drone in Lithia, Florida on Monday. The company is hoping this is the first step towards more automated delivery. 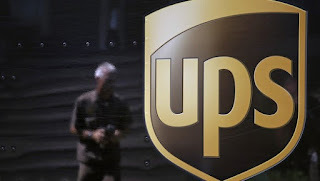 The drone took off from a UPS car roof and flew autonomously to its destination where it dropped off a package and returned to the vehicle. Meanwhile the driver was able to take on a separate delivery route. UPS said the test went as expected.